The Venture sleeping bag is simple and robust all-rounder having all the functions of important bases. Used materials really show their strengths in warmer climates. They are easy-care, insulate even when wet, breathable, fast drying and rugged. The synthetic fill is made of high-tech hollow fibres that offer high insulation and long-lasting performance. 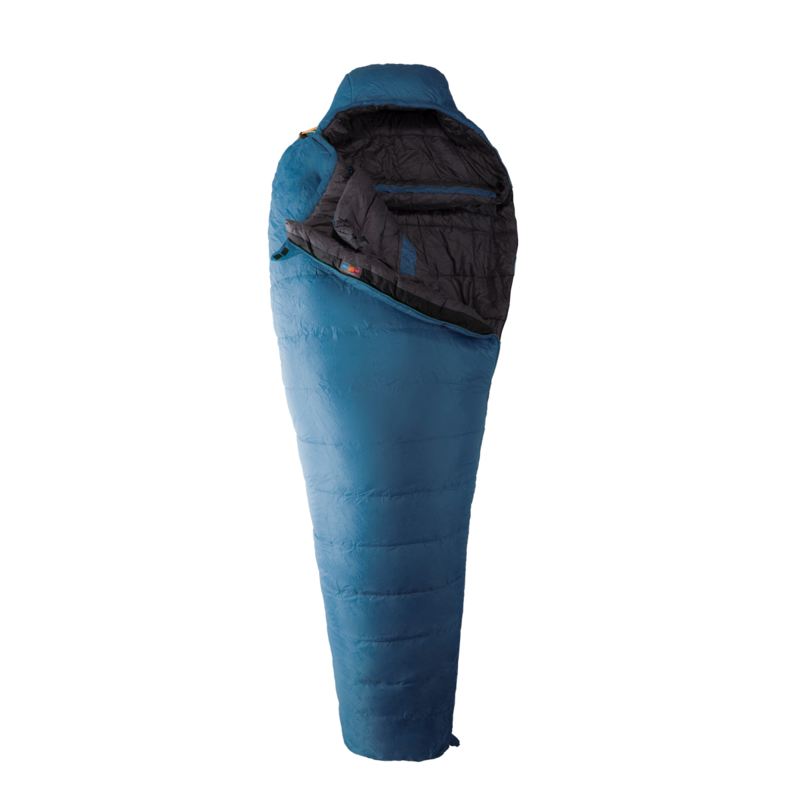 The Venture sleeping bag has a full-length, two-way zip with anti-catch flap, the high performance LoftPlus fibres retain body heat in the sleeping bag and the thermal collar ensures warm shoulders. One inner pocket hold your keys, phone or tissues. All drawcords are easy to operate with one hand. This bag is designed for summer use or as liner in system of sleeping bags layers. Roll over hook and loop closure flap at top of YKK zip for extra comfort. Two way YKK zip enables lower access or ventilation whilst zip is drawn up and also allows sleeping bag to be opened out to aid airing and drying. Bottom zipper gusset prevents accidental opening. One 3-D volume baffle behind YKK zip that extend past zip end for draught proofing. Drawcords in baffle enables further adjustment and pulls insulation closer to front or rear of neck. Baffle can be split by hook and loop and can fold down whilst in upright sitting position. 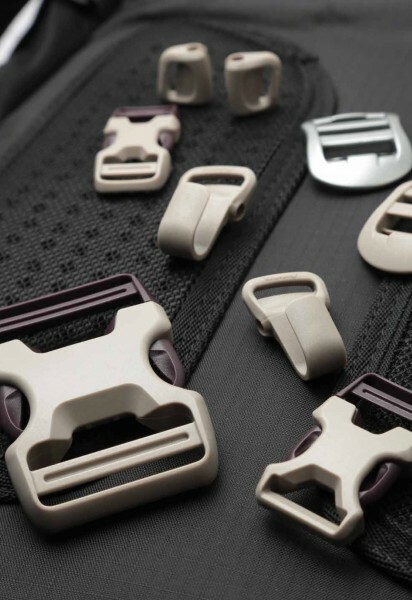 Split face drawcords to control and adjust volume individually around upper and lower face. Drawcords are easily accessed from inside the sleeping bag. Foot box hang loops for storage and drying. Internal pocket for storage of MP3. mobile phone. GPS etc. Spot clean your sleeping bag with lukewarm (30° C) soapy water and a sponge. If exceptionally soiled your sleeping bag may be washed in washing machine. Use an oversized commercial automatic machine, utilizing a rotating drum action. Do not wash your sleeping bag in a top loading washing machine; the center agitator could damage it. Make sure the detergent compartment of your washing machine is clean of any detergent or softener. Set the washing machine to a cold wash on a delicate cycle. Before washing your down sleeping bag brush off any loose mud or dirt. Do up any zips or Velcro, close any flaps and do not wring. Do not use detergents, as they are very aggressive (if not exclusively designed for sleeping bags). Do not add fabric softener. Set the machine to rinse a few times on the slowest/longest spin cycle to ensure no cleaner residues are left in the insulation. Sleeping bags should be tumble dried at a low heat. Do not be tempted set the drier to a high heat as you risk melting the seams and outer shell fabric. Hold the sleeping bag flat and not at one end. Ensure the bag is 100% dry. Air your sleeping bag after washing drying flat, clean surface. Do not expose sleeping bag to the sun or heat. Dry cleaning is not advisable as the chemicals used may reduce insulation efficiency and water repellency. To extend the life of your bag, never store it in its stuff sack. Keep it loosely stored in a dry place in a large cotton bag, or hang it in a closet or store it flat.